Are you all set to go crazy about acrylic nail designs? Here you go with our summer inspired nail art recommendations! During summer time, we often tend to take extra care of our skin. Most of the times we end up opting for home remedies to ensure our skin stays glowing. Amazing homemade recipes to remove tan, skin darkening – especially on the face and neck area. However, our hands and feet are the most neglected parts of the body. There are plenty of cost effective ways to cure cracked heels and control the overgrowing cuticles around the nail area. One can also polish the soft skin around the ankle and palms by making use of DIY manicures and pedicures. What one needs to definitely follow it up with is an application of a nice nail polish. Better still, go for summer inspired easy-to-do nail art designs. Today, Zuri brings to you 18 beautiful acrylic nail designs that are apt for this season. Just about painting your nails with the same old nail polish can be quite a boring affair. With the revolution brought about in the beauty world, thankfully things have changed. 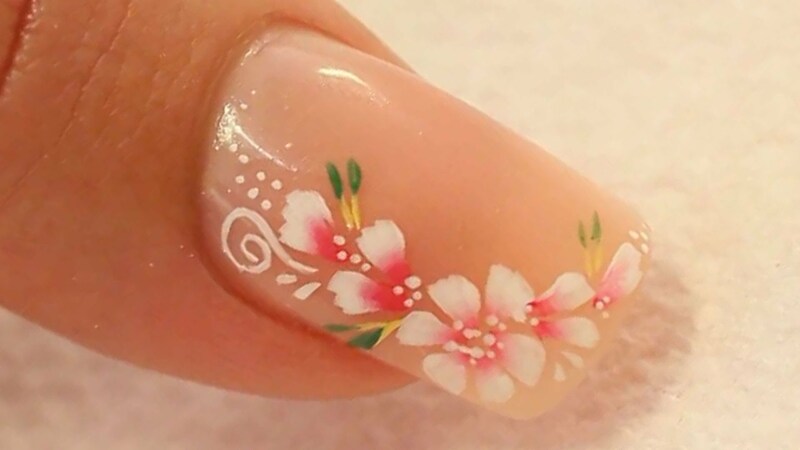 One of the best innovations by far is the evolution of nail art. It is creative, expressive and chic. Season inspired designs painted on the fingernails to match the outfit – completes the overall festive look of a woman. One can customize it to give it an embellished look. Amazing colors, designs, styles and themes can reflect our personality and mood in a pleasant way. From the stylish Caviar nail art design theme to the elegant monochrome French tips, there is so much to choose and try from. But, how familiar are you with acrylic nail designs? Chances are that if you love nail art and often experiment with your nails, then you would have at some point got them on. 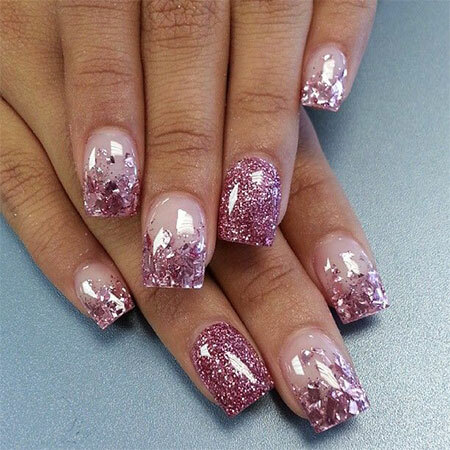 Acrylic nail design is one of the most popular nail art you can get. It is also extremely safe as it maintains the overall health of your fingernails. Acrylic is a protective coating which is applied using a mixture of a powder and a liquid. The point is that once it is applied on the nails, the coating gets exposed to the air. Consequently, it dries up and gets hard. Why go for acrylic nails? Acrylic paint is strong. The layer protects the nails. If at all the acrylic nails get damaged due to whatever reason, they can easily be repaired. Acrylic paint is cost effective and far better than gel manicures. Acrylic can be removed easily. Acrylic nail designs can be easily tried at home. Try from our range of recommended acrylic nail designs. From lovely flora to black-glitter combo to a wonderful season inspired scenic beauty, from bold geometrical designs to quirky zebra patterns, acrylic bows to funny polkas, there is something for each one of you!